1HOW MANY PERSONS CAN FORM A TEAM? 2WHAT’S THE TIME LIMIT FOR A MISSION? You have 60 or 70 minutes (depends on the mission) to complete the game in each area. 3CAN WE ASK FOR HELP DURING THE GAME? You cannot ask for a help, but you can get some, if it’s needed. There are cameras in the room, so the game masters can follow your actual gameplay and if you are really stucked, they can help. 4HOW MUCH IS ONE GAME FOR A TEAM? 5WHAT IS THE RECOMMENDED AGE-GROUP OF THE GAME? All ages are welcomed. Parental advisory needed below 14 years. 6WE NEED SOME SPECIAL EQUIPMENT OR CLOTHING TO PLAY? No, you don’t need any special stuff. 7WE NEED ANY KNOWLEDGE OF SLOVAK LANGUAGE TO PLAY? Nope, our games are totally independent from any languages. 8HOW CAN I MAKE BOOKING FOR A GAME? Check the “Booking” section in the top menu of the website. 9IS THE GAME SCARY SOMEHOW ? The game is not about scaring, is all about solving puzzles to find your way out however if someone feels a bit claustrophobic just tell us and we let her/him out immediately. 10HOW CAN WE PAY (PAYMENT METHODS)? 11HOW OFTEN DO YOU CHANGE THE GAME/SET ?  The rooms are always improving but not completely changing so we recommend if you enjoyed the experience you can try one of the other rooms available in Bratislava Nitra and Košice. 12IF WE CANNOT COME THE TIME WE HAVE RESERVED, IS IT POSSIBLE TO CHANGE IT? Of course, just let us know at least 2-3 days before the reserved day. 13CAN WE ORGANIZE A CORPORATE EVENT AS WELL? Of course, we can provide for you the place even outside opening hours. 14WILL BE THERE SPIDERS, SNAKES AND OTHER DISGUSTING INSECT TO SCARE US? 15CAN PREGNANT WOMEN OR PEOPLE WITH HEART DISEASE PLAY THE GAME? Of course, we are not going to scare you. But if you have problems with your heart, let us know so we can skip some effects. The game requires some cooperation, alone can be tough.